Chinese Premier Li Keqiang has called for the setting up of an extensive network of battery charging stations for electric vehicles (EV), the Automotive News China reported. Citing a report by gov.cn, a website run by the central Chinese government, Li reportedly told senior government officials in a meeting in Beijing last week to require all new residential housing property to have sufficient battery charging stations or have enough space for charging stations to be built. The premier said that public charging stations must be built in at least 10 percent of existing public buildings and public parking lots. Cities should also have battery swap sites and fast-charging stations along inter-urban highways, he added. During the meeting, Li urged government ministries to help private businesses undertaking the construction of battery charging stations by providing them with subsidies as well as issuing bonds to allow those businesses to raise capital, according to the website. Li said that the construction of charging stations would promote the use of EVs, enhance economic growth and safeguard the environment. In China, government subsidies are given only to qualified EVs, plug-in hybrids and fuel cell-powered vehicles that are built in China. 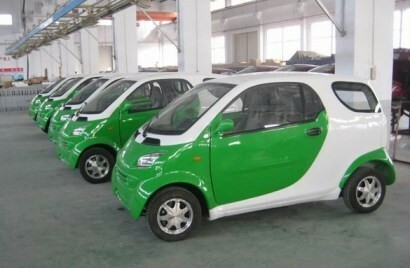 According to the China Association of Automobile Manufacturers, the 350-percent surge in the sales of EVs and plug-in hybrids in the first eight months from a year earlier to 18,054 vehicles may be attributed to the assistance granted by the government through subsidies. The report said, however, that in China, battery-charging stations are still extremely hard to find.